It’s the last Friday Fiver of 2015 – and it’s a fun pattern for girls and boys alike! 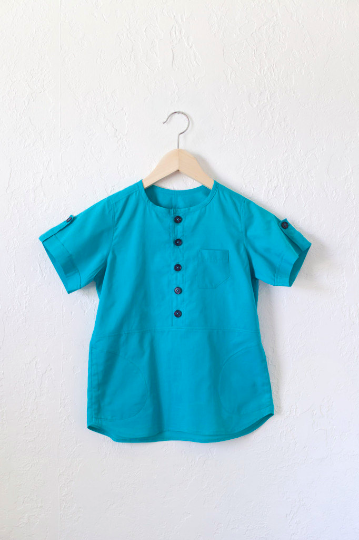 It’s the Mulberry Tunic from Coffee and Thread! 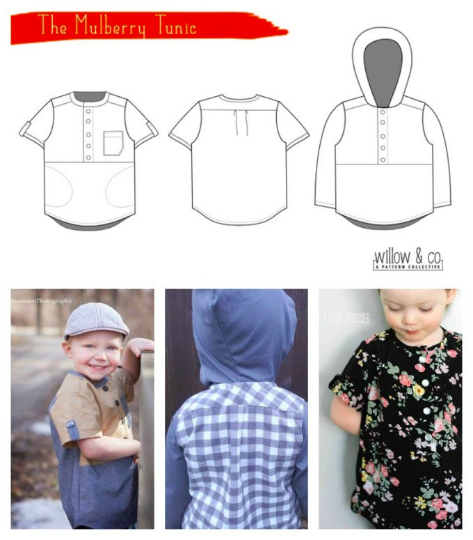 With a front button placket and two sleeve lengths as well as chest and inseam pockets AND options for a hood and button tabs on the sleeves, you can mix this up again and again and AGAIN for varied looks. And that’s before you consider fabric choices. Use color blocking, mixed prints, contrast trim, or feature embroidery (this thought in particular makes me all googly-eyed!) or graphic prints – endless options. Print and roll along with versions for boys and girls sized 18m through 12 years. Hop over to Coffee + Thread to grab the pattern for $5 in the next 24 hours – beginning 6 am Friday, December 4th, Eastern US. No coupon code required – the price is already adjusted for you!